Health And Wellness Center: Yoga Den Has More Than Yoga! 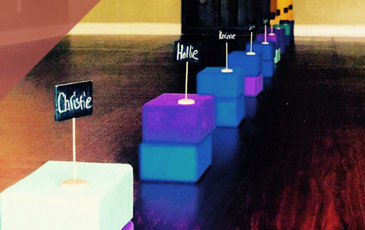 Did you know that Yoga Den offers more than just yoga classes? It’s true! 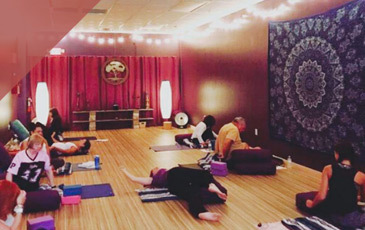 In addition to the classes that take place in our yoga studio, we have a fully functional health and wellness center offering a variety of services designed to keep you looking and feeling your best. Don’t waste time running all over Jacksonville to various health and wellness professionals. Just make time to visit the Yoga Den, and book an appointment for one or more of these services before (or after!) your yoga class! At the Yoga Den health and wellness center, members can take advantage of many different types of massage therapy, right on site. Using varying levels of pressure, our massage therapists will manipulate your soft tissues, muscles, and other structures that lie under the surface of your skin to release stress and heal pain. If you’ve been dealing with aches and pains that just don’t ever seem to go away, massage therapy at our Jacksonville health and wellness center could be the key to feeling better. Severe damage to muscles and nerve endings requires a more intense type of therapy than basic massage. With extensive knowledge of the musculoskeletal and nervous systems, our therapists will work to improve flexibility and eliminate the cause of your neuromuscular pain. This is a slightly different type of therapy designed to alleviate pain. Using alternating cycles of pressure and release in isolated parts of the body, trigger point therapy can help relieve tight muscle tissues that might be causing pain elsewhere. Whether your pain is from injury or stress, trigger point therapy can help you to calm and de-escalate the source. Although modern medical science has made many advances over the last century, we firmly believe that sometimes the old remedies are best. Cupping is an ancient form of natural medicine that originated in China. Using a combination of heat and a glass or bamboo jar, our cupping therapists will work to pull stagnant blood closer to the surface of your skin, where it’s more easily flushed out by the circulatory system. Our cupping therapy patients have seen this technique help to relieve various musculoskeletal conditions, respiratory conditions, cellulite, and provide effective stimulation of the lymphatic system. Acupuncture is another popular therapy at our Jacksonville health and wellness center. We offer several different types of acupuncture, from facial rejuvenation to the reduction of unsightly abdominal fat. Your acupuncture therapist will use small, hair-thin needles to trigger this stimulation of pressure points all over your body. Our acupuncturists are all licensed and well-trained, so you never have to worry about the treatment being unsafe. Have questions about some of the treatments available at our health and wellness center? 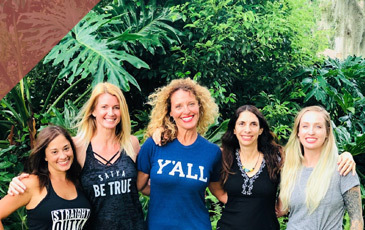 Contact Yoga Den today!